Minnesota United has expanded to its goalkeeper ranks by signing Kristian Nicht. 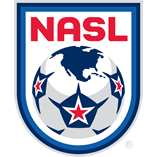 Nicht most recently played for the North American Soccer League’s Indy Eleven after an extensive European career. “Kristian is literally a massive physical presence and we've been on the wrong end of his excellent performances numerous times, so we were happy he was available,” head coach Carl Craig said. “We were looking for a fellow with experience and one who can potentially push Sammy [Ndjock] for the No. 1 spot, so he fits the bill." The German 'keeper brings a veteran presence to Minnesota, and impressive shot-stopping ability. His 6-foot-5 stature makes him a menacing presence in goal and allows him to win aerial balls with ease. Nicht has been tested at all levels, from USL to the Bundesliga. "I'm 33 now, so I'm just trying to help the other goalkeepers and be a good teammate and improve as a goalkeeper and eventually help the team come out on top - that's what we're all here for," Nicht said. Nicht grew up playing in the academy of his hometown team FC Carl Zeiss Jena. He signed his first professional contract with the Stuttgart Kickers in 2002, posting a clean sheet in his professional debut. He signed for 1. FC Nürnberg in 2003, playing for the reserve team and once again debuting with a clean sheet. The following season he joined TSV Alemannia Aachen, and after a few impressive starts in his first season, Nicht was made the starter his second year. That season the club earned promotion to the Bundesliga and Nicht was named 2. Bundesliga Goalkeeper of the Year. He transferred to Norway in 2008 to play for Viking FK, debuting with a clean sheet once again. His success on the pitch helped Viking qualify for the UEFA Cup, now the Europa League. Nicht returned to Germany the next year with Karlsruher SC, but saw few appearances and decided to set his sights on the U.S.
Nicht signed for the Rochester Rhinos of USL in 2012, joining new United teammate J.C. Banks. Not only did he once again debut with a clean sheet, but set a North American record by starting the season with six consecutive clean sheets. 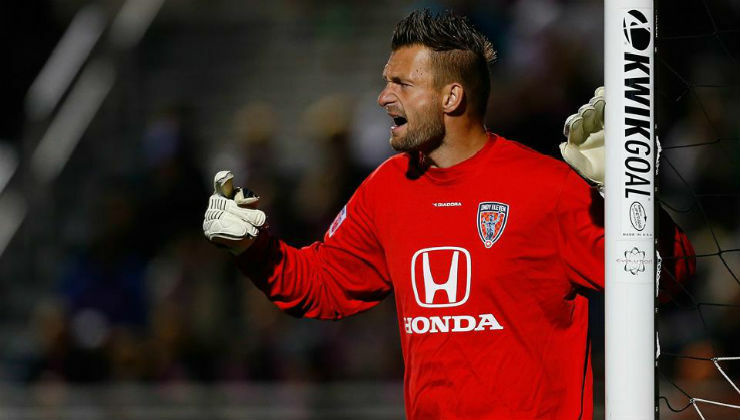 Nicht would go on to be named USL PRO Goalkeeper of the Year and earned a spot in the 2012 USL PRO All-League First Team. Nicht became Indy Eleven’s first signing prior to the team’s NASL debut in 2014. The German was the main 'keeper for two years, helping the expansion club through early growing pains with impressive goalkeeping. He had a brief stint with Montreal Impact of Major League Soccer (MLS), playing for the club in the CONCACAF Champions League Final after the Impact lost two 'keepers to suspension and cup ties to other clubs. “Minnesota is an especially good club and organization - it's a really good team from what I can tell and I'm excited to be a part of it and that we could make the move happen,” Nicht said. "I bring a lot of experience with me, I've played almost 300 games in my professional career."